Our final topic in this module about stimulant substances concerns caffeine. 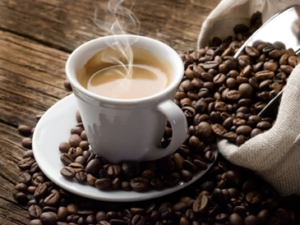 In this chapter you will read some general information about caffeine that is edited from a pair of NIDA blog sites: The Buzz on Caffeine and Is Caffeine Really Addictive? Here is what the two blogs had to say. Question: What’s the most widely used drug? It’s not marijuana—and it is not tobacco or alcohol either. Nine out of 10 Americans take it in some form every day, and it is not limited to adults. Hint: According to a recent study published by the American Academy of Pediatrics, nearly three-fourths (75%) of children, teens, and young adults use it daily too—in the form of soda, coffee, and energy drinks. Yes, caffeine is a drug—a stimulant drug, to be exact. It is even possible to be physically dependent on it—which means that a person who is used to drinking lots of caffeinated beverages can experience withdrawal symptoms if they quit. Caffeine: Breaking Down the Buzz: Caffeine has a perk-up effect because it blocks a brain chemical, adenosine, which causes sleepiness. On its own, moderate amounts of caffeine rarely cause harmful long-term health effects, although it is definitely possible to take too much caffeine and get sick as a result. Some caffeine drinks and foods will affect you more than others, because they contain very different amounts. But it is more than just how much caffeine a beverage has that can make it harmful. Even though energy drinks do not necessarily have more caffeine than other popular beverages (unless you take 8 ounces of 5-Hour Energy Shot®, which has 400 milligrams! ), it is the way they are sometimes used that worries health experts. In 2011, of the 20,783 emergency room visits because of energy drinks, 42% were because the user combined them with other drugs (e.g., prescription drugs, alcohol, or marijuana). Caffeine + Alcohol = Danger: Mixing alcohol and caffeine is serious business. As a stimulant, caffeine has the opposite effect on the brain as alcohol, which is a depressant. But don’t think the effects of each are canceled out! In fact, drinking caffeine does not reduce the intoxication effect of alcohol (that is, how drunk you become) or reduce its cognitive impairments (that is, your ability to walk or drive or think clearly). Caffeine does reduce alcohol’s sedation effects, so you feel more awake and probably drink for longer periods of time, and you may think you are less drunk than you really are. That can be dangerous. People who consume alcohol mixed with energy drinks are 3 times more likely to binge drink than people who do not report mixing alcohol with energy drinks. Sleep. This may sound obvious, but getting enough sleep is important. Teens need 9 hours of sleep a night. Eat regularly. When you don’t eat, your glucose (sugar) levels drop, making you feel drained. Some people find it helpful to eat four or five smaller meals throughout the day instead of fewer big meals. Drink enough water. Since our bodies are more than two-thirds H20, we need at least 64 ounces of water a day. Take a walk. If you’re feeling drained in the middle of the day, it helps to move around. Do sit-ups or jumping jacks. Go outside for a brisk walk or ride your bike. Is Caffeine Addictive? Most adults in the U.S. use caffeine, whether in coffee, soda, energy drinks, or chocolate. Many are also familiar with the effects of suddenly drinking less coffee than usual: tiredness, headaches, insomnia, and other symptoms. And many people talk about being “addicted” to their morning coffee or energy drink! But is caffeine truly addictive? It’s all about the dopamine: The world’s caffeine obsession can be described as a “dependency” (because when you have less of it, you go through a mild “withdrawal,” with the symptoms listed above), but it is not usually an addiction [because not enough DSM-5 symptoms are usually involved]. It is true that—like many drugs—caffeine enhances dopamine signaling in the brain. Dopamine is a chemical that helps control movement, motivation, and emotions, so enhanced dopamine signaling makes a person feel more awake and alert. Because caffeine produces that alert feeling, it is classified as a stimulant. But some prescription drugs and the dangerous drug methamphetamine (“meth”) and MDMA (ecstasy or Molly) are also types of stimulants. So what is the difference? While caffeine produces a small rise in dopamine, it does not cause the large surge that unbalances the reward circuits in the brain and is necessary for an addiction. So even though the word “addiction” is often used casually, caffeine is not truly addictive (scientifically speaking). It is all in how you define addiction: NIDA defines addiction as the uncontrolled (or “compulsive”) use of a substance even when it causes negative consequences for the person using it. So the difference between caffeine dependence and addiction to drugs like meth is that even a person who loves to drink coffee can do without it, deal with the headaches and irritability that result, and not engage in destructive (or self-destructive) behavior. Too much caffeine—like too much of anything—can still be harmful. But even if you just must have that energy drink, know that your love of caffeine doesn’t compare to a real drug addiction that can change your life forever, in very bad ways. Ch. 5: Caffeine by Audrey Begun is licensed under a Creative Commons Attribution-NonCommercial-NoDerivatives 4.0 International License, except where otherwise noted.